The serviced apartments at Aurora Melbourne Central offer every convenience in the heart of the city. The only Serviced Apartment in Melbourne with a direct connection to over 200,000sm of retail offering and a train station. The serviced apartment is expected to open in 2019. It will feature 252 superbly fitted rooms and offer extensive facilities including a dedicated pool, gymnasium, meeting rooms and guest lounge. Arrive in style on the vibrant LaTrobe St, be welcomed by the concierge at the dedicated ground floor lobby and ascend to retreat in your room via one of the guest lifts. Guests will enjoy Aurora Melbourne Central’s direct connectivity to all other parts of Melbourne from the Melbourne Central Station which is directly accessible from the basement level. The largest retail precinct in the CBD is also an elevator ride away whilst the central location of the development offers easy access to the business hub a short stroll away. 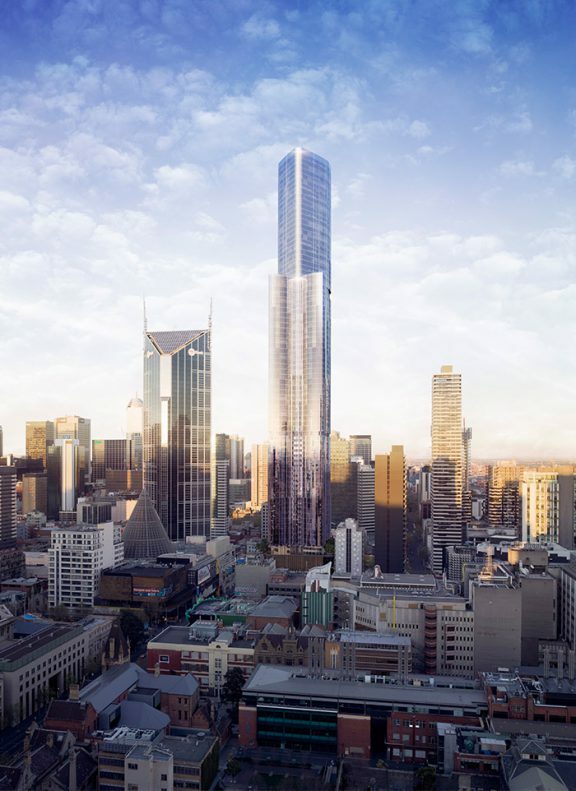 Serviced apartments at Aurora Melbourne Central will be a mix of studio and one bedroom units, with the flexibility to create dual-key two-bedroom units. With outlooks to the CBD’s west, the rooms will enjoy views of the vibrant city skyline and over the city towards Port Philip Bay. Furnished to impeccable standards and quality and enjoying exceptional leisure and business facilities, the serviced apartments are set to become a destination of choice for local and international visitors. The serviced apartments at Aurora Melbourne Central will have a direct link to Melbourne’s rail system. No need to step out the door; the basement level connects to Melbourne Central Station, part of the city’s underground loop. From there you have access north, south, east and west of the city. As part of the Connecting Melbourne initiative, residents can look forward to even greater access to an expanding network of destinations in years to come, including a proposed rail link to Melbourne Airport. Trains, trams and buses are an easy way to reach the city’s shopping precincts, educational institutions, business districts and cultural attractions. Travel on the transport network requires a smart card, known as a myki card, available at many places including convenience stores, railway stations and visitor centres. Services generally run between 5am and midnight on weekdays, with extended hours running through the night on Friday and Saturday. On Sunday, trains and trams run from 7am to 11pm. The only serviced apartment development with direct connection to Melbourne Central Train Station. There’s a whole world of experiences waiting in Melbourne – a city famed for the diversity of its food. You’ll find more than 40 different culinary traditions here, including Spanish, Italian, Turkish, Lebanese, Thai and even Argentinian. Australia’s oldest Chinatown is centred on Little Bourke Street, tempting you with dumplings, noodles or refined Chinese cuisine. 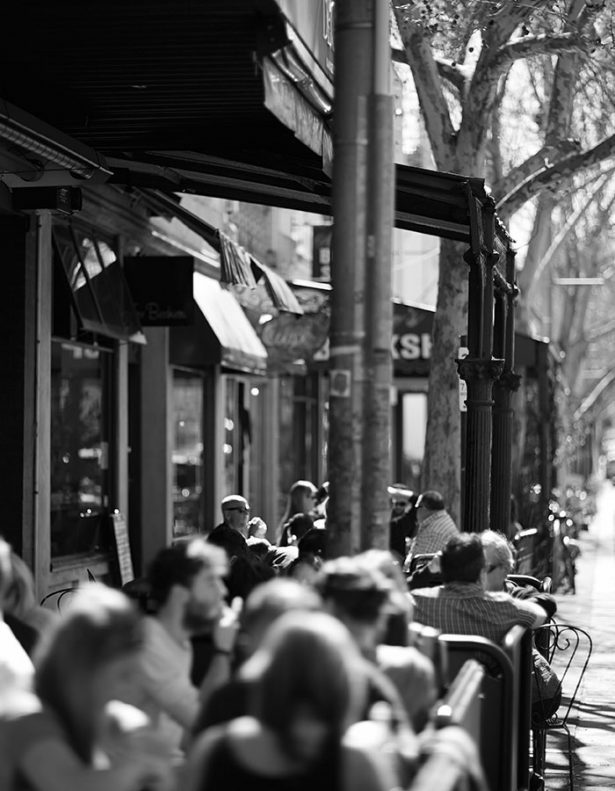 Explore Melbourne’s famous lane-ways and discover cool cafés and bars. If you love coffee, Lygon Street serves it up Italian style. Even grocery shopping is a rewarding experience, with the historic Queen Victoria Market just a ten-minute walk away from Aurora Melbourne Central. It’s the southern hemisphere’s largest market, with a world of fresh produce, local and imported gourmet foods, bric-a-brac, clothing and souvenirs. Melbourne’s exhilarating mix of art, theatre and music will enrich and inspire you. The National Gallery of Victoria’s international collection numbers more than 70,000 and includes masterworks from Europe, Asia, Oceania and America. Not far away, the Australian Centre for Contemporary Art has an international reputation as one in a cluster of galleries around the world producing ambitious new artworks with living artists. The magnificently quirky Federation Square, Melbourne’s meeting place, combines galleries and performance spaces with an exciting mix of commissioned public artworks, installations and multimedia projects. Take your seat for music at the Arts Centre or the Recital Centre, contemporary drama at the Malthouse or Melbourne Theatre Company or a blockbuster musical at one of Melbourne’s historic city theatres. There’s circus and cabaret, concerts and comedy by international and local performers.